Brabant Island is the second largest island of the Palmer Archipelago within the British Antarctic Territory, lying between Anvers Island and Liège Island. Brabant Island is 59 km (37 mi) long north-south, 30 km (19 mi) wide, and rises to 2,520 m (8,268 ft) in Mount Parry. The interior of the island is occupied by two mountain ranges, Solvay Mountains in its southern part and Stribog Mountains in its central and northern parts. Palmer Archipelago, also known as Antarctic Archipelago, Archipiélago Palmer, Antarktiske Arkipel or Palmer Inseln, is a group of islands off the northwestern coast of the Antarctic Peninsula. It extends from Tower Island in the north to Anvers Island in the south. It is separated by the Gerlache and Bismarck straits from the Antarctic Peninsula and Wilhelm Archipelago, respectively. Charlotte Bay is a bay on the west coast of the Antarctic Peninsula indenting the west coast of Graham Land in a southeast direction for 12 nautical miles (22 km), between Reclus Peninsula and Cape Murray. Its head is fed by the glaciers Nobile, Bozhinov, Krebs, Wellman and Renard. Wiencke Island is an island 26 km (16 mi) long and from 3 to 8 km wide, about 67 km2 (26 sq mi) in area, the southernmost of the major islands of the Palmer Archipelago, lying between Anvers Island to its north across the Neumayer Channel and the west coast of the Antarctic Peninsula to its east across the Gerlache Strait. Doumer Island is an island 8.3 km (4.5 nmi) long and 3.7 km (2 nmi) wide, surmounted by a snow-covered pyramidal peak, 515 m (1,690 ft), lying between the south portions of Anvers Island and Wiencke Island in the Palmer Archipelago of Antarctica. 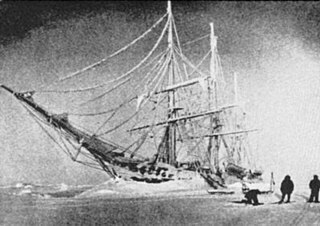 It was first seen by the Belgian Antarctic Expedition, 1897–99, under Adrien de Gerlache. 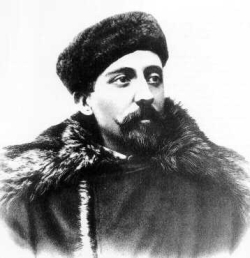 It was resighted and charted by the French Antarctic Expedition, 1903–05, under Jean-Baptiste Charcot, who named it for Paul Doumer, President of the French Chamber of Deputies and later President of France. Lion Island is an island 1.5 nautical miles (2.8 km) long and 1 nautical mile (1.9 km) wide, lying off the east side of Anvers Island and 1 nautical mile (1.9 km) northeast of Cape Astrup, Wiencke Island, in the Palmer Archipelago. Discovered by the Belgian Antarctic Expedition, 1897–99, under Adrien de Gerlache. The name appears on a map based on a 1927 survey by Discovery Investigations personnel on the RRS Discovery. The profile of the island suggests a reclining lion when viewed from the southwest.